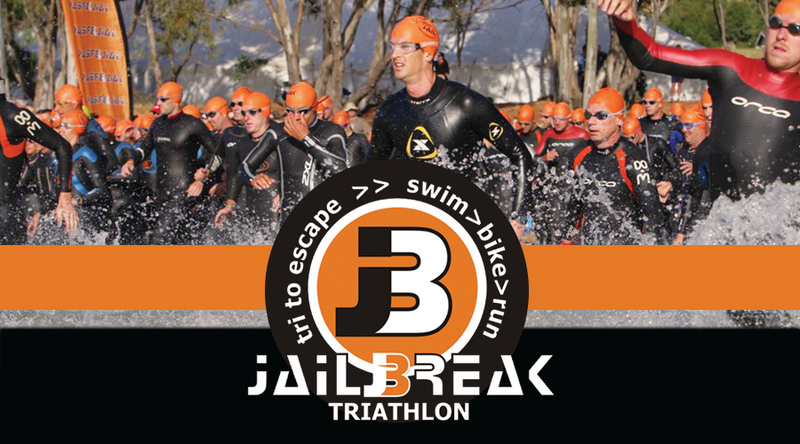 THE JAILBREAK TRIATHLON IS SANCTIONED BY TSA AND THEREFORE ALL THE TSA RULES APPLY AS INDICATED ON THEIR WEBSITE. THESE RULES MAY BE MODIFIED UP TO THE START OF THE EVENT. No under/18’s allowed. Ages will apply as of 31 December 2016, the year of competition. Please be aware of the age restrictions regarding distances of participation. You will be penalised and disqualified from participation should you not adhere to the restrictions as listed below. * Warning: Two (2) minute penalty. * Refusal to wear helmet: Disqualification. Competitors, who do not wear approved helmets while cycling at the race site, within 7 days of the competition, may be disqualified from the competition. * Riding in Transition at any time is prohibited. * Bicycles must be returned to the same location on the bike rack. * Bicycles must be securely placed on the supplied bike rack – not left on the ground. * No personal seconding or assistance is allowed in Transition. 3.3. Cutting the course: Short-cutting and/or cutting trail switchbacks or course is not permitted and may result in disqualification. A runner is required to stay on the designated trail that is marked and or specified as the racecourse. It is the runner's responsibility to know the designated racecourse. Lack of tape or barrier on the course will not be constituted as an excuse for cutting course. Competitors may not run with a bare torso. Shoes must be worn. * Limited outside assistance is allowed from another athlete competing in the same event. * No outside assistance is allowed from any person not competing in the same event. These include but are not limited to spectators, friends, family, volunteers, support crew, photographers, police or marshals. * Assistance is limited to tools, tubes or any item that would be used to repair a faulty part or damaged bicycle or water, food, or first aid. Changing bikes is not allowed. * Example: a competing athlete is allowed to give another athlete a chain tool or link or a complete chain. A competing athlete can give another athlete a tire patch, tube or complete wheel. But an athlete cannot exchange bikes with another competitor so that the competitor with the broken bike can simply continue without fixing the break. * No personal seconding is allowed in the Transition area. Athletes wishing to change their entries through downgrading or upgrading, must do so directly with our office. Please send us an email on entries@iqela-events.co.za. Downgrades: where the price of the new entry is lower than the original entry athletes forfeit a refund for the difference of entry fee. Upgrades: where the price of the new entry is higher than the original entry, the athlete must pay the difference of entry fee. Please note that racing under someone else's number has serious consequences. If you are in an accident, we will not know who you are or who to call. You will also not be covered by race insurance. Should your accident cause injury to someone else, they may not be covered by race insurance. In addition, you will probably also be racing in the wrong category and will upset the official results and placing’s - effectively cheating other athletes out of their rightful positions. You will be disqualified and by race referees.